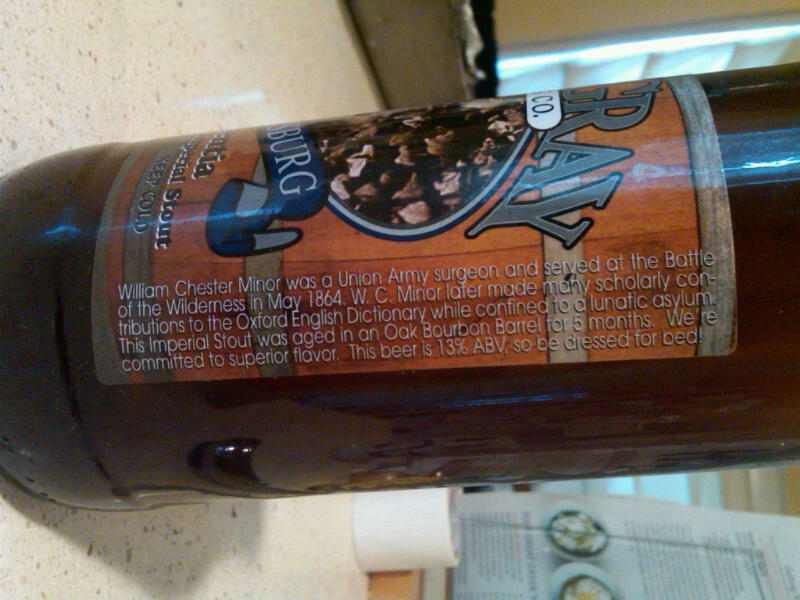 I bought a bottle of this “Blue and Gray”-brand, Civil-War themed Virginia microbrew at Whole Foods last week and, of course, thought of the Simon Winchester classic, which these brewers had clearly imbibed. 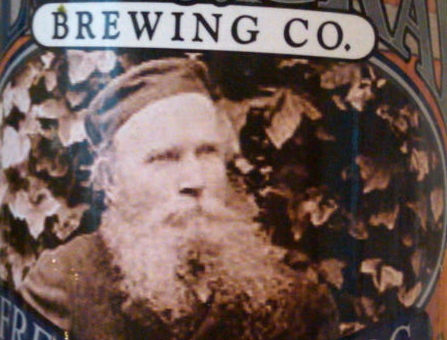 Below, the explanatory caption on the side of the label. Best line: “This beer is 13% ABV so be dressed for bed.” True, that’s strong beer.